The late Omar Sharif once said that what he loved about the “mating game” in the thoroughbred world, was that it was like “playing God”, and by that he was referring to the predestination involved in selecting a stallion to serve a mare. Playing “God” at this time of the year is the preoccupation of most breeders of racehorses, and at Summerhill it’s a mammoth task involving close on 300 mares, more so with the arrival on the farm of a batch of new stallions whose geno and phenotypes are of an entirely new variety with their own unique attributes. 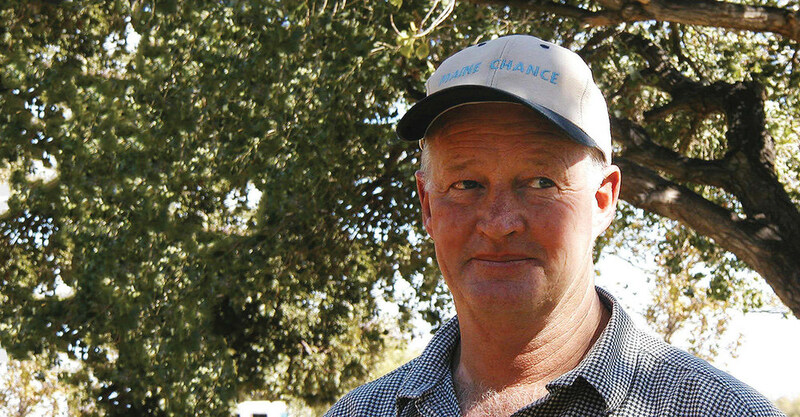 You might have thought that after four decades at it, the process of recommending stallions to our clients on the farm was something of a routine, and while there is some truth in that, results at the races tell us that for the most part, we’ve been hard at it and getting most of it right for the bulk of that time. It’s tempting to think that besides stallion selection, our own brand in raising the progeny and preparing them for their careers on the turf, has been a big factor in sustaining their reputation among the most durable in the land. However much we might like to believe that we’ve made a special event of each year’s breeding exercise, this year was more special in the presence of John Slade, who for the first time since he departed for New Zealand from Summerhill in the late 90s, had the time to come “home” and lend a hand in the proposals we’ll be distributing to the farm’s customers in the weeks ahead. Let it be said that in his time as the boss here, John’s contribution to Summerhill as we know it today was immense, but of his own admission, his varied exposure to the industry at large and in particular his experiences in New Zealand and at Maine Chance, have added substantially to his intuitions and his retinue of skills as a stockman. Which begins to give us a perspective of the man he is today and an understanding of how it happened that he, for the first time in South African history, presided over the breeding of the first three past the post in last year’s Vodacom Durban July. The students at our School of Management Excellence have been especially lucky in being here at a time when John was in residence, so that besides matings, they could hear his views on the conformation and mechanics we’re all striving to instil in the outcomes, for the maximisation of the horse’s potential at the racecourse as well as in the sales ring. His insights on nutrition, sales preparation and the distinction between the sprinting type and the Classic sort are as revealing as they are simple. 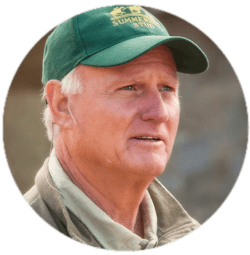 While we all know it’s beyond a genius to explain what makes him one, it’s the ability to reduce everything to simplicity that’s behind it, and John Slade is the benchmark of genius in the horse world. You might ask, since he departed Summerhill in the late 90s, what John had to do with the onset of Summerhill’s long sequence of Breeders’ championships commencing in the 2004/5 racing seasons? The answer is, as always, simple: the breeding of racehorses, much like the timber business, has long lead times, and the foundations for our success were largely rooted in the decade John devoted to Summerhill, commencing in 1988. He was an instigator in the establishment of Vuma, our feeds division; he was the initiator of the Ready To Run programme; the architect and sculptor behind our connecting roads and bridle paths, and the beautification and land-shaping of our farms. In his time here, we started our bio-farming programme which began to find its full expression on the racecourses of the country towards the end of his tenure, and while the sceptics might argue that his admiration of the physical specimens in our broodmare band might whiff of self-gratification, it’s actually a tribute to the lessons we shared in those years before the turn of the century. There can be no greater acknowledgement of his legacy than that the mares that have underpinned our championship successes, and as recently as this past season delivered up a champion Freshman sire, were products of the work of his time, and the value that lies in “family-building”. The best manifestation of his efforts lies in Witchcraft’s humbling of a superb line-up of fillies in Sunday’s Gold Circle Oaks, and the exploits of her Classic-winning contemporaries, Rabada and Heaps of Fun, as well as Derby Trial ace Bankable Teddy and the excellent prospect, Champagne Haze. While our weanlings may lag those in some regions for size at this time of year, it was a generous endorsement of the way they’re brought up that he rated them among the better-legged youngsters he’d seen in a good while. Coming from someone who, in spite of his many years away, has never deserted his connection with Summerhill, John’s embrace of this season’s stallion arrivals is a commendable encouragement for those of us who keep our horses here; he couldn’t have been more enthusiastic about two horses than he was of Act Of War and Willow Magic, not only for what they did at the races and their obvious physical appeal, but also for the varietal distinction in aptitude and type they bring to the Summerhill table. It won’t be the first time you’ve heard it, but it’s an old adage of ours that “transactions build turnovers, relationships build value”. You also know that there was no “old money” here; just the blood, the sweat and the sacrifices of an unbending team; we are what we are, because they plotted their own path. What we did get from our forebears though, was an appreciation of the value of relationships, and we inherited a few of those. Pat Goss Snr opened his first banking account with Standard Bank in 1916 (we’re up for the 100 years “brass plaque” next month); his first fuel suppliers were the Atlantic Fuel & Firing Company (after seven name changes, now known as Engen), and he bought his first tractors in the 1930s from East Griqualand Tractors in Kokstad. To this day, we bank with Standard, we’re still with Engen, and until they shut their doors recently, we looked nowhere else for our tractors than the Chapman family. The salutary opening of the Tijnhuis (Tea Garden) at Hartford House is the loudest accolade to adorn a banking relationship that has endured two World Wars and the two greatest recessions known to man. Pat’s first tractor was a paraffin-burning Ferguson “Vaaljapie”, which fired up on low-grade petrol until the engine was warm enough, and then as an economy, was switched over to paraffin. Ploughing was tough in those days, as these little fellows (revolutionary though they were) could only tow a two-disc plough in a single lane, and struggled to pull a mower. As Ferguson became Massey-Ferguson, their tractors progressed to the modern giants we see today, and at one time, this one-time Canadian minnow rivalled American giant John Deere, in the quality of its products. Troubled days lay ahead however, and it seemed to coincide with the new generation tractors in particular, despite their appealing resemblance to the Boeing Dreamliner. Agricultural people are traditional in their ways, and are often slow to adapt. In their attempt at diversifying their manufacturing base, Massey-Ferguson established plants in diverse places across the world, and while the opinion is personal, it seems it may have come at a cost to quality. Whatever it was, John Deere appeared to have managed a similar process a little better, and they’ve emerged with a reputation which dates back more than a century, not only intact, but enhanced. In the process, one or two MF dealerships have sadly ceased to operate, one of which belonged to our old friends in Kokstad. It’s fair to say that whilst we maintained our loyalty throughout this transition, we couldn’t help looking across the farm fence at our neighbours. While the appeal of their tractors lay largely in their performance and reliability, for us there was an added attraction; like us, “JDs” come in green and gold. The Chapman relationship endured for close on seven decades, and as families we’ve shared more than sixty years in Christmas dinners. As long as they were in business, we were in business with them, but since that has changed, we’re wearing different clothes these days. The history of Deere has a resonance with our own, though it’s even older. The company was founded in 1837 by a blacksmith named (you guessed it), John Deere; the company he built moved deliberately, specialising in horse-drawn ploughs for nearly a century, before making the switch to internal combustion. It’s been managed by just nine CEOs in its 186 year history (that’s one every twenty years, on average), and one result of that stability is devoted customers, who covet those iconic green caps. Finally, an incident on Monday last reminds us of the 1879 story of Lord Chelmsford’s Darjeeling tea party at the Ncome Falls near Fugitive’s Drift. His oblivion to the fact that just a few miles away at Isandlwana, the first shots were being fired as a prelude to one of the greatest defeats the British army had known, remains one of military history’s biggest mysteries. In a modern day parallel, Linda Norval arranged for John Slade and ourselves to lunch at Hartford’s newly-opened “Tijnhuis” during a break from the arduous work with the mares, when we were advised by one of the fellows involved with us that the scheduled re-start would be postponed from 2pm until further notice, on account of a fire. That no “SOS” was issued suggested it was of minor account, so a fresh bottle of chilled DeMorgenzon Reserve Chenin was popped to occupy the time. Meanwhile, the fire-equivalent of the Battle of Isandlwana was raging across the summit of Ntaba Nqumo, the site of the transfer of command of the Boer forces from the hero of Majuba, General Piet Joubert to General Louis Botha at the height of the opening salvos in the Anglo-Boer war. General Botha had a keen appreciation of the value of sound breeding, and while the “cavalry” these days is designed for a different kind of battle on the turf, his sense of what it took to make a good war horse, is what set him apart as the outstanding general of the campaign.